Martin Bray is a renowned and highly sought after international makeup artist based in Barcelona and Sydney. Working in the industry for over 17 years his career has spanned across editorial, numerous Fashion Weeks, television and advertising. Martin has also worked in Australia, New Zealand, Japan, Shanghai, Barcelona, New York, Mexico, Beijing and Barcelona. His art can be seen throughout many advertising campaigns and television. 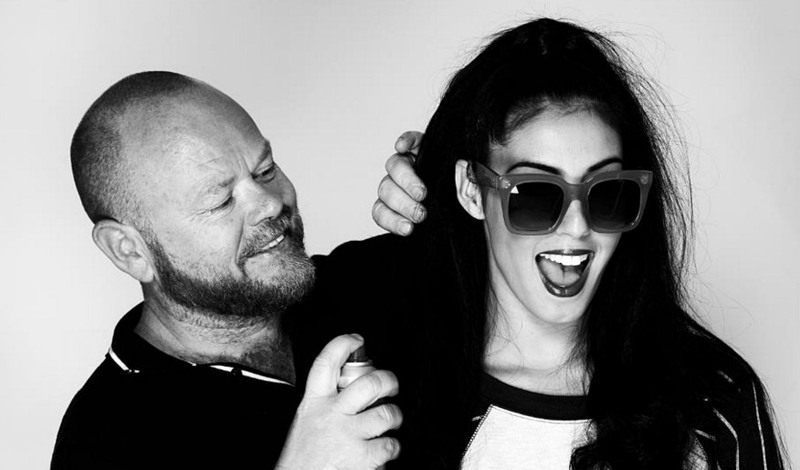 Martin has been the resident Makeup Director for XFactor Australia over the past five years . He has been head of hair and makeup for Australia’s Got Talent and Dancing With The Stars Special. He was Makeup Director for Pacha live shows in Sydney for the past two years. Martin is an international educator conducting workshops and lecturing at schools and makeup expos such as IMATS. His celebrity clients include: Kylie Minogue, Loreen, Kelly Rowland, George Michael, Miranda Kerr, Heather Small (M People), Alexis Jordan, Jen Hawkins, Winter Gordon, Amanda Lapore, Tina Arena, Ronan Keating, Guy Sebastian, Natalie Bassingthwaite, INXS, Jimmy Barnes and The Rogue Traders. His client credits include: Vogue, Harpers Bazaar, Sony, Optus, Virgin Atlantic, Camilla, Nespresso, Sydney Casino, Australian Tourism, Myer, Emirates Resorts, Foxtel Lifestyle Channel, Loveable, Deutsche Bank, Mather’s, Absolut Vodka, Blackberry, The Star, Cointreau, Commonwealth Bank and Paspaley Pearls.